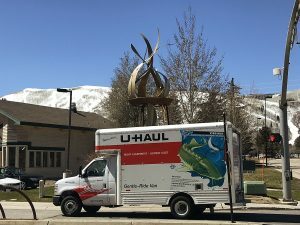 The Park City Planning Commission addressed the Treasure proposal on Wednesday night during a meeting held at the Santy Auditorium at the Park City Library. The logo of the Treasure Hill Impact Neighborhood Coalition, an opposition group, was displayed on a screen during part of the meeting. Some in the crowd wore coalition T-shirts. A wide gap appears to be evolving between the Treasure side and the Planning Commission regarding square footage. It remained unclear after the meeting on Wednesday how the issue could be resolved. The Treasure side sees the 1980s approval as contemplating the approximately 1 million square feet sought, but the Planning Commission seems unconvinced that is the case. Project critics, meanwhile, contend the proposal is too large and would not fit in a location that is just off Old Town streets. The meeting, held at the spacious Santy Auditorium instead of the Park City Council chambers to accommodate more people, drew a medium-sized crowd that was largely unhappy with the project. Some of the people in the audience wore T-shirts promoting the Treasure Hill Impact Neighborhood Coalition, an opposition group. The meeting drew three people who held official positions during the Treasure discussions in the 1980s. Jim Doilney and Ann MacQuoid were members of the City Council then while Brad Olch was a Planning Commissioner. They attended to bolster the opposition. Doilney said the square-footage question could have influenced the City Council to deny the overall approval in the 1980s. 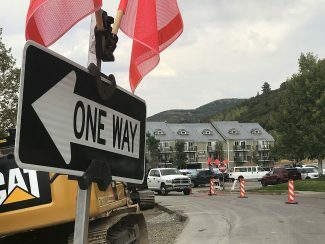 MacQuoid said comparisons between the current Treasure proposal and high-end hotels that have been built in Park City in the intervening decades, such as St. Regis Deer Valley and Montage Deer Valley, are not relevant to the 1980s approval. Olch, meanwhile, said a traffic study of the current proposal would not justify the square footage. An attorney representing the Treasure Hill Impact Neighborhood Coalition, Charles Stormont, said the proposal has grown in square footage over the years. He argued the number should be limited to 413,000 square feet based on the earlier overall approval. He said the eventual number should not reflect what a consultant deems necessary for the project. “They do not guarantee a profitable hotel development,” he said about the 1980s overall approval. John Stafsholt, another Treasure critic, said the project should be compatible with surrounding Old Town. He also claimed the Treasure side seeks changes significant enough to warrant a new overall approval, something that would trigger a different level of review. Another speaker, Old Town resident Ed Parigian, told the Planning Commission the Treasure side is unwilling to compromise. He also worried about the size of Treasure. “Everything is out of scale completely,” he said. 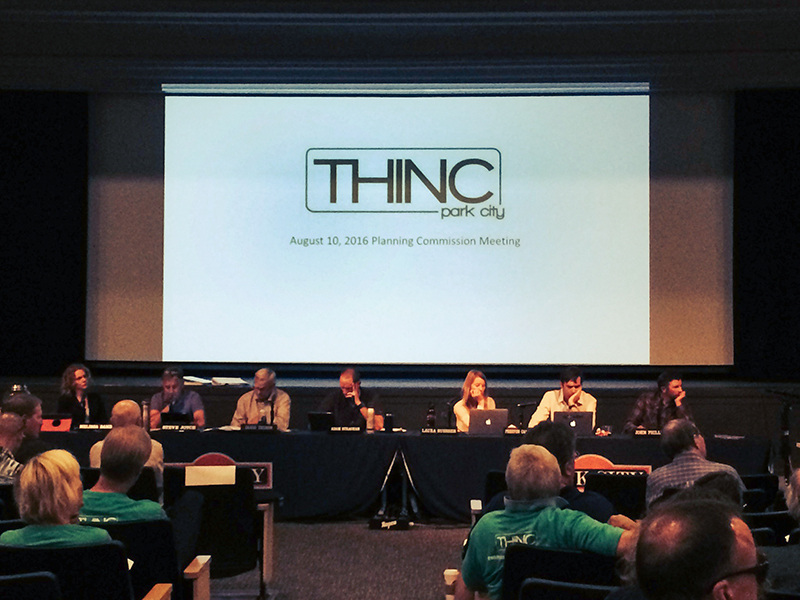 Individual Planning Commissioners on Wednesday continued to have concerns about the square footage as the panel anticipates spending several more meetings on the topic. The panel could signal its intention regarding the square footage by the middle of fall, perhaps at a meeting in October. Steve Joyce, a member of the Planning Commission, offered lengthy comments for the second consecutive Treasure meeting. He said there is “tremendous” confusion about the 1980s approval and questioned what sort of square footage for meeting space was a part of the approval. 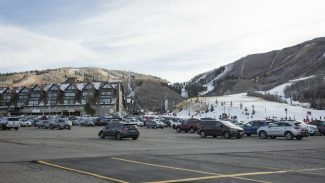 Joyce said comparisons between the Treasure proposal and other projects like the Montage Deer Valley and St. Regis Deer Valley are helpful, but he noted Treasure is located close to a neighborhood while the others are not. “You guys are sitting right on top of Old Town,” Joyce said. The Planning Commission is next scheduled to address Treasure at a meeting on Sept. 14. The panel expects to visit the site that day as well. The proposed height of Treasure will be marked in some fashion during the visit. The Sept. 14 meeting is expected to again address square footage. The Sweeney family, the historic owner of the Treasure acreage, sees the disputed project as a part of its legacy. That affirmation was underscored, loudly, at an especially tense moment during the Planning Commission meeting. One of the leading opposition figures to the project testified during the meeting, mentioning a variety of topics. 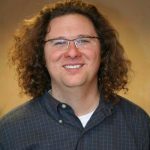 In his comments to the Planning Commission, Brian Van Hecke from the Treasure Hill Impact Neighborhood Coalition asked whether Treasure is the legacy the Sweeney family wants to leave. Mike Sweeney, one of three brothers involved in Treasure, was in the audience as Van Hecke spoke. “Unequivocally, yes,” Sweeney said in a loud voice in response to Van Hecke. It was not clear whether Van Hecke or the Planning Commission could hear the response by Sweeney. Pat Sweeney, another of the brothers, is the family’s lead figure in the Treasure negotiations. Mike Sweeney and the other brother, Ed Sweeney, attend many of the Treasure meetings, however. Mike Sweeney is a businessman involved in the family’s holdings at the Town Lift Plaza. The idea of Treasure as a Sweeney family legacy has long been a point in the discussions about the project. The Sweeney family views Treasure as a project that will boost Park City’s tourism-heavy economy, something that the family sees as a legacy.